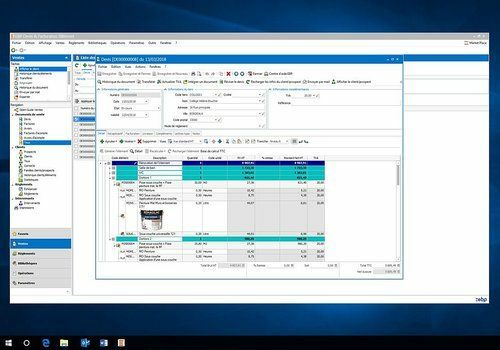 Designed for building craftsmen regardless of the building trade, this very easy-to-use software is ideal for easily computerizing its management. It allows you to create your own library of elements, create professional quotes and invoices and import many supplier prices. Activity monitoring thanks to the dashboard which indicates the current and future estimates as well as outstanding invoices. Library of elements including supply sheets, labour, books... And to save time on a daily basis, it is possible to import many supplier prices. Writing estimates and detailed invoices: work slices, new or renovated VAT, colours, images, unlimited text to describe the services. Alert on customers who are late in paying and automatic sending of reminder letters.